Happy, Happy Wednesday! Wow has it been awhile since I’ve posted a new blog post here on Beyond Casual B! 😰 But I thought what better blog post to get back in the swing of things, than with an interesting, trending topic! And as I always mention, the best way to stay up to date with me is by watching my Instagram stories. I post real-time vs when I may post a few days later on my Instagram feed, or even a few weeks later on here. But if you’re already following along on my IG, you may remember me trying CoolSculpting a few weeks back! Well, I’m writing this post today to tell you all about my experience!! And let me just start by saying CoolSculpting is not a weight loss treatment! CoolSculpting is a non-invasive fat removal treatment, that permanently removes stubborn fat from different areas of the body. So for example, the flanks, also known as the “love-handles”, that little roll on your lower abdomen that just won’t go away, or that tough fat hanging from your arm that you can’t seem to get rid of. It’s an innovative way to contour the body by freezing unwanted fat with no surgery or downtime. So if you’re looking for liposuction results, with major weight loss, this probably isn’t the method for you. The CoolSculpting process freezes your fat cells, which then become crystallized and in turn die. The dead fat cells then are naturally processed and eliminated by your body over the next couple of months. Some patients, myself included, wonder if the results are permanent… And.. Good news! CoolSculpting results are long-term because those fat cells, and that fat bulge, are gone for good once the fat cells die! But now that I’ve given you a general CoolSculpting overview, let’s get into my experience with CoolSculpting! I went to Shahin Fazilat, M.D. Dr. Fazilat is a Board Certified Plastic Surgeon located in Mountain View, California. He specializes in Mommy Makeovers and Breast Surgeries, and offers non-invasive treatments like the Vampire Facial and CoolSculpting. He only carries the most effective and current aesthetic technologies in his office and he had great reviews! Not only that, as you guys know, DeAndre plays for the 49ers and one of the women who works for Dr. Fazilat is married to someone who works for the Niners, so she actually reached out to see if I would like to come in. Based off of her results though, I knew I was in good hands! She looks AMAZING! 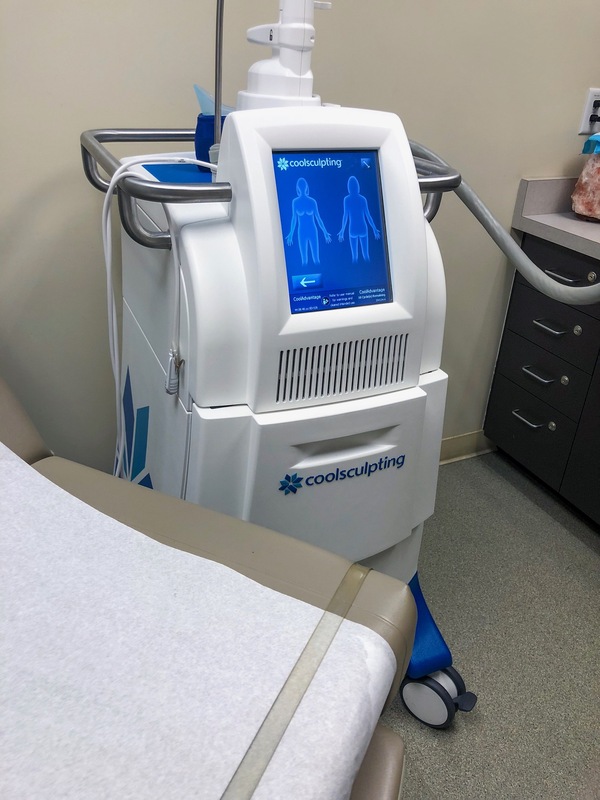 I also chose to try CoolSculpting because as I’ve been mentioning, I have a TON of tropical trips coming up and I just wanted that extra little sculpt! I do workout about four times a week but I do still have some stubborn fat areas that just won’t go away! So that, along with it being non-invasive, I thought I’d give it a try. I started my morning the same as any other day. There are no restrictions on eating/drinking etc. 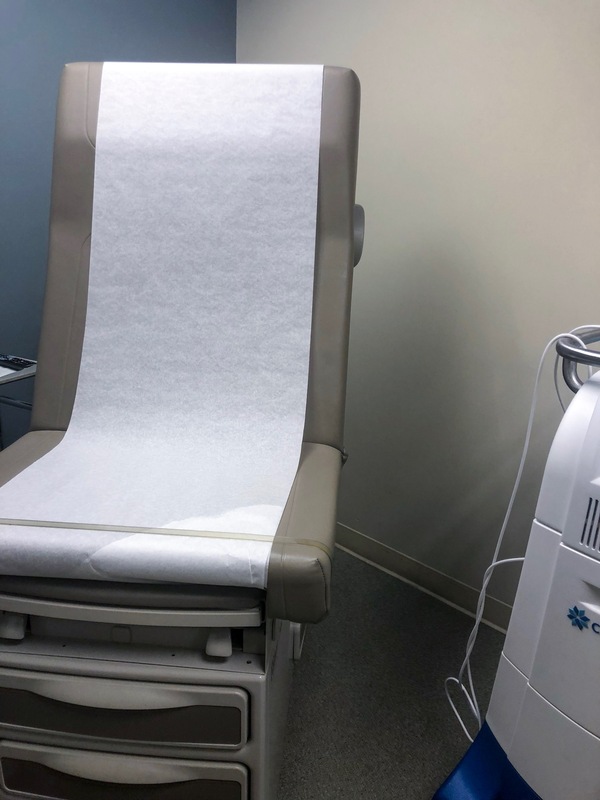 before getting CoolSculpting, so I went to the gym, ate breakfast, ran some errands and then arrived at Dr. Fazilats office around 1:00pm, where I was greeted by one of the lovely staff members. She handed me a few papers to sign and had me sit in the waiting room for a few minutes while she prepped everything. From there she guided me to a room where we took 8 photos of the areas being treated, from every angle, for before and after purposes. For the photos she also had me change into a disposable pair of shorts and a bandeau, since I didn’t have on a sports bra. 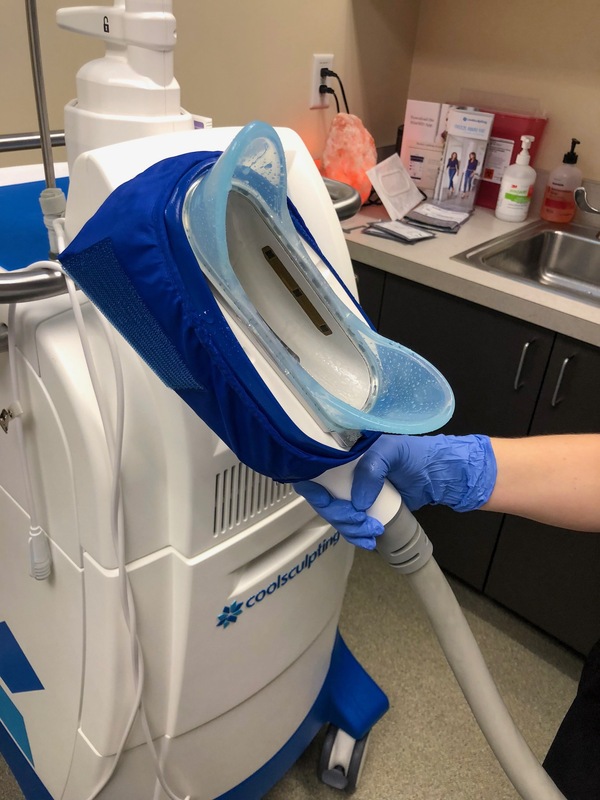 I wore these throughout the entire CoolSculpting process, so don’t worry about what you should wear if you’re thinking about going in! After getting my photos taken, she then led me to the room where the CoolSculpting would happen! PS. In case you were wondering, I was SUPER nervous!! I may have watched/read over 20 different CoolSculpting reviews the night before that had horror stories (NOT a good idea! haha). So I was expecting this like EXTREMELY painful procedure! But of course, those reviews were NOTHING like my experience and that’s probably because they didn’t go to Shahin Fazilat, M.D. 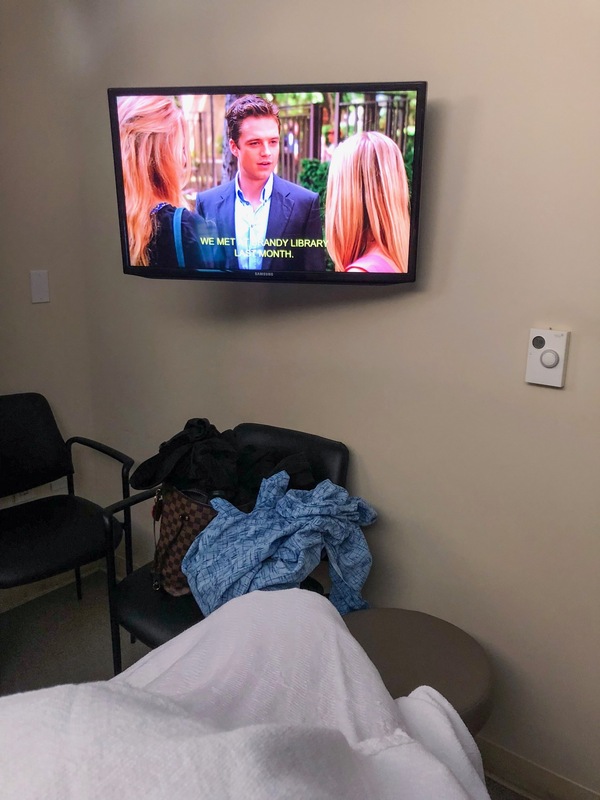 But anyway, the first thing the CoolSculpting expert did when we got to my room was place the applicators on all four areas of my flanks to draw an outline of where she would need to place the CoolSculpting machine. I then sat up on the chair, and she applied this cold, jelly patch on the first area being treated. She then put the machine on my skin and I felt this huge sucking feeling. It’s kind of a funny feeling, but it didn’t hurt at all! And once positioned correctly, she turned on the machine and we we’re CoolSculpting away! 😉 For my flanks the treatment would last 35 minutes each, so I had about 2+ hours to kill for the whole thing. The provider made sure I was comfortable with the boppy pillow around my stomach, two pillows behind my back and blanket laid across my legs and attached a little button to the blanket, should I need something while she was gone. She also handed me the remote to watch Netflix, grabbed me some water, turned off the light and then disappeared behind the door. I was sitting comfortably, watching Gossip Girl re-runs, catching up on all the latest Instagram posts and really just laying back and relaxing! The first 7 or so minutes of the 35-minute treatment, we’re really cold! I’m not gonna lie! It was initially cold right when it latched on to my skin, but it got gradually colder within seconds. But just as she told me, right when it would start to become unbearably cold, it would go numb! And that it did! The remaining 28 minutes were easy as pie! And before I knew it, she was back in my room around the 2 minute mark, getting ready to take off the first applicator and massage my skin. It’s EXTREMELY important to massage the skin immediately after treatment, because it breaks down the fat cells and improves results by 60%! She did warn me that this part might be a little uncomfortable though, so I braced myself! Just kidding! 😉 It didn’t hurt or feel uncomfortable at all! In fact, the second applicator didn’t either! It wasn’t until she got to the left side that it felt uncomfortable. And it didn’t hurt per say.. But it was just a very uncomfortable feeling. The massage only lasts about two minutes though, so if you’re thinking about trying CoolSculpting but are scared, don’t stress! If I can do it, you can do it! I’m a TOTAL wimp when it comes to pain! As my momma! haha! I finished all 4 areas of my flanks and was feeling pretty good, but I decided I would come back a week later for the bra-line area which was another 2 sessions. One on my right and one on my left. So I got up, got dressed, thanked the AMAZING providers and headed out the door! I had a few errands to run for DeAndre and felt up for it, so I was headed to Safeway! Upon leaving Dr. Fazilat’s office, I touched my skin and it just felt really cold and a little tender. *Pro Tip* If you’re thinking about getting your flanks done, wear high-waisted leggings to your session! The compression from your leggings actually soothes the skin and acts almost as a barrier between anything that rubs up against you during the healing process. It also feels a little weird without the compression when you walk, because your sides are numb but you can feel your body moving… if that makes sense? haha! That and the leggings add a little extra layer of warmth to your frozen skin! And if you’re wondering about down-time, there is none! … Yep, you read that right. You can go back to work the same day or even the gym if you wanted to! I however, took it pretty easy and spent the rest of the day binge-watching Gilmore Girls and Family Feud. There was also a little itchiness, but it wasn’t as bad as some people have explained in other reviews. Here and there I would feel an itch, but I couldn’t feel my nails scratch my skin. So that was a little weird! haha! But the itchiness only went on for about two days. The tenderness went away after about four-five days. The swelling went down after three days and I started gaining feeling again after six-seven days. My bra-line however was a completely different experience! I didn’t feel numb AT ALL and only my right side was tender and only for the first day! There was still some bruising, but it went away after two days. So that area was a piece of cake! It’s now been three weeks since I went in for my first CoolSculpting treatment. As mentioned, I did my flanks in (one) 2.5 hour session. Then went back exactly a week later to do my bra line, which took only about an hour. But currently my right flank still has the TINIEST bit of numbness and my left flank has 100% feeling back! No clue why my right side took the CoolSculpting worse than my left side! Maybe I had less for the machine to grab so it was closer to the bone? Who knows! But other than that, as mentioned, my bra-line was only numb for two days so that area has completely healed. Would you guys be interested in seeing a follow-up post at the end of the three months with my results? I personally like to see what people’s results look like before trying anything myself! So I can definitely post one if that’s something you guys are interested in! Also, have any of you guys been looking into trying CoolSculpting? Or do you have any questions that I didn’t answer? Comment below! Or feel free to send me a private note through my contact page! 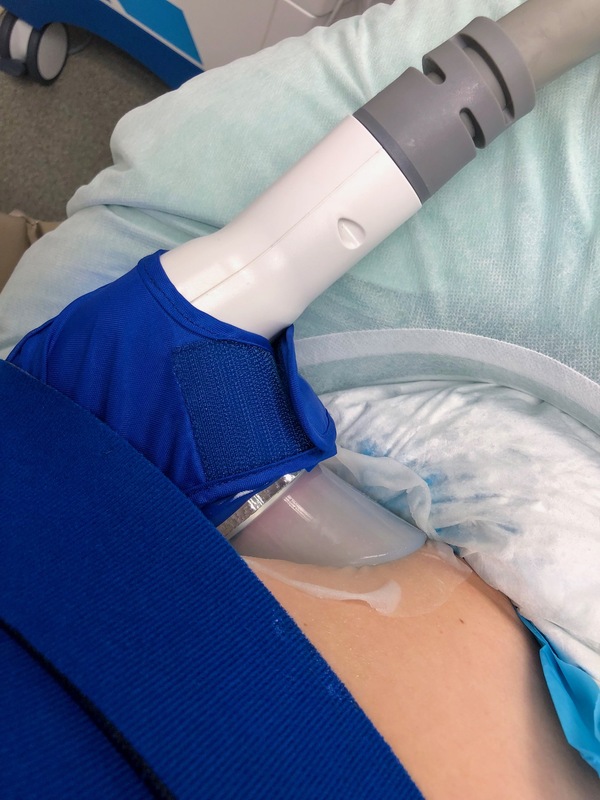 I love hearing from you guys and this post is in no way telling anyone they NEED CoolSculpting! 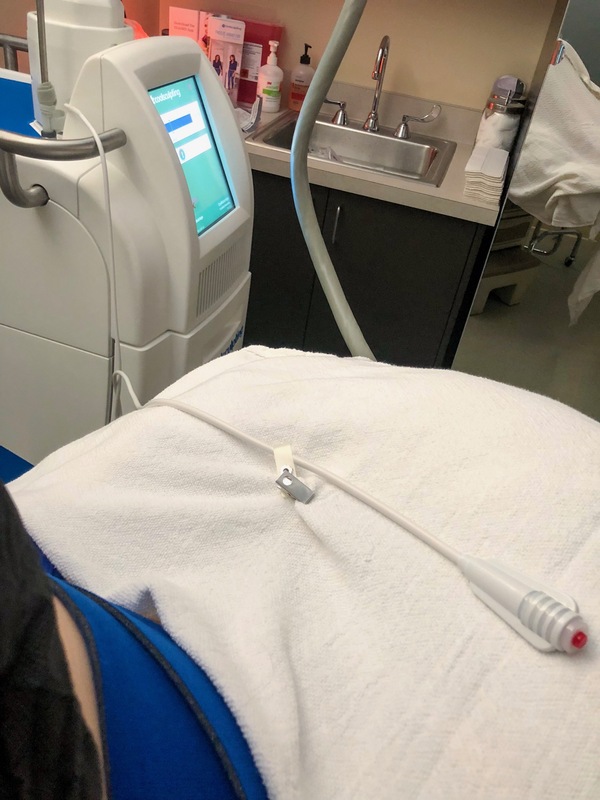 I’m simply sharing my experience with it and hoping to shed a little more light around this non-invasive procedure! Next Post What To Pack For Spain! + GIVEAWAY! Wow that is so interesting and such a good read! I’ve heard so many things about it so its nice to hear a full in depth review. Oh wow hun! Never heard of it before but sounds sooo good. Glad there’s no downtime and the experience was exciting. Will definitely consider! Yeah, I loved how relaxing it all was! Such a great experience! Thanks for reading! I have been curious about this. Thank you for sharing your story! of course! Thank you for reading Elizabeth! OMG! I always wanna try this one. but always find it expensive! Thanks for sharing your experience. I hope it works out with you well. Yeah, each area is a different price but I can’t wait to see the results!! and thank you! I’ve always been so curious to hear about this procedure. I loved being able to read an honest review with your own experience. Definitely write up a post with a follow up. Would love to hear! I’d love to try this someday, thanks for the whole walk through. So interested to hear a follow up! Do you have to do more sessions or will the results from only one session show up in 3 months? Wow! This is so interesting! I have a friend who is seriously considering it but I had no idea what was involved. I would love to see a before and after shot to see what the results actually look like. I can definitely post a before and after! Thanks for reading!! This post was super informative! I’ve been wondering about cool sculting for a while and now I really want to do it haha! Looking foward to a follow up post about results! Wow, thanks for sharing all of this first hand information. I’ve heard about the procedure before but never really looked into it.